"The most interesting individual battle should be Alexis Sanchez against Newcastle right-back DeAndre Yedlin"
Match Odds: Man Utd [1.5], Newcastle [9.4], The Draw [4.7]. Once upon a time, Manchester United versus Newcastle United was the Premier League's showcase fixture, a battle between the two title favourites who represented different sides of the spectrum. Manchester United were serial winners, the type of side who popularised the belief that winning while playing badly is the sign of a good team. Newcastle were the entertainers, committed to attacking football. Now, this is a contest between 10th and 18th in the Premier League table and it's difficult to work out what either side truly represents. Manchester United are going through an identity crisis under the increasingly desperate Jose Mourinho, while Newcastle United's agenda is still dominated by ownership issues, with Rafael Benitez making the best of a bad squad by playing arguably the most defensive football in the division. In all, then, this isn't a particularly mouthwatering clash. Mourinho and Benitez's battles over the years have generally been dominated by post-match sniping rather than entertaining games of football, with both trying to second-guess the opposition tactics rather than focusing upon their own side's attacking play. Manchester United, though, will surely dominate this game. 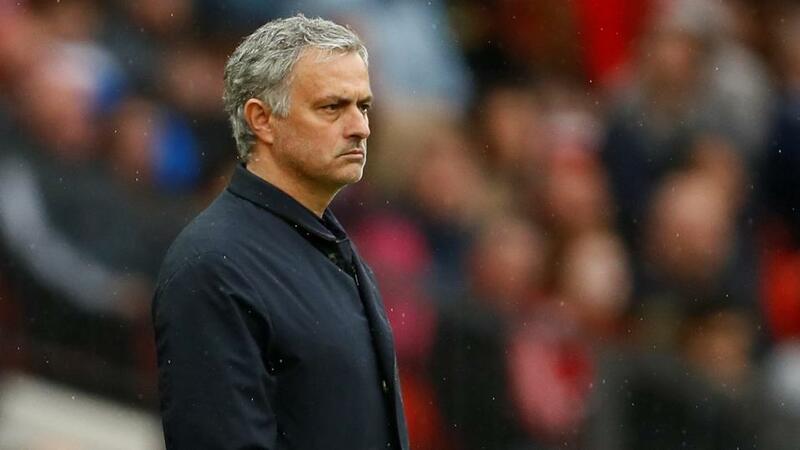 In recent weeks Mourinho has selected a somewhat cautious midfield trio, comprising three of Nemanja Matic, Fred, Marouane Fellaini and Paul Pogba. Fellaini can provide an attacking threat and Pogba has shuttled forward to sporadically good effect, but this isn't a trio which provides much invention. Upfront, Romelu Lukaku looks jaded but will continue upfront, Alexis Sanchez's form still isn't improving and he could drop out for Anthony Martial, while the right-sided role is up for grabs. Juan Mata could get a start here, against a defensive-minded Newcastle side where United will need technical quality in tight spaces. Marcus Rashford is another option, and has looked one of United's better performers in recent weeks. Defensively, Mourinho's side continue to look poor. Antonio Valencia looked ponderous in midweek against the side that share his name, and Ashley Young might be considered at right-back. Luke Shaw continues to perform well on the left, but in the centre Chris Smalling and Victor Lindelhof or Eric Bailly doesn't appear a convincing partnership. It remains to be seen how much defending United have to do against a Newcastle side that has been incredibly cautious at times this season. Benitez has, at least, ditched the 5-4-1 that he used occasionally earlier in the campaign, reverting to a 4-4-1-1. Joselu will lead the line, and has made some good runs this season, while Ayoze Perez is a hard-working support act, useful in both phases of play. Kenedy might cause problems on the break against Valencia, while Matt Ritchie can cut inside to deliver good inswinging crosses from the right. Jonjo Shelvey will look to start counters from his deep-lying role alongside Mo Diame. Defensively, Newcastle are relatively good at defending against crosses, with Jamaal Lascelles dominant in the air. The most interesting individual battle should be Sanchez against Newcastle right-back DeAndre Yedlin, who has enjoyed an eventful campaign - seemingly always either contributing well on the overlap, or guilty of a poor defensive mistake. Newcastle might get some joy down this flank, with Yedlin sprinting forward on the break, allowing Ritchie to move inside in possession. Benitez will focus on making it hard for Manchester United, and I think it might take Mourinho's side a while to break down the Magpies. I tend to think that Mourinho's options from the bench, and the threat of Fellaini going up top, could have enough for the home side late on, however. I'll back Draw / Manchester United in Half-Time / Full-Time at [4.6]. Newcastle United have had a free week to prepare for their trip to Old Trafford, while Man Utd had to face Valencia on Tuesday evening in the Champions League, in what was another under-par performance, drawing 0-0. So this could be an ideal time for the Magpies to visit Manchester as the home side struggle for any sort of form. Jose Mourinho's men have failed to win at home in all competitions since their opening day victory over Leicester City 2-1. But Newcastle United have their own problems, without a win in the league and the battle between the fans and owner seeming to be a constant backdrop. With just one victory at Old Trafford in the Premier League era, in 2013, and having only scored once in their opening three away games this campaign, it’s hard to get behind Newcastle even at [9.4]. This may well be Manchester United’s worst start to a season since the 1989/90 season with three losses in their opening seven games, but this looks as good an opportunity as they could ask for to get back to winning ways, against a disjointed Newcastle squad. I will be backing the home side to win to nil at anything around [2.4].